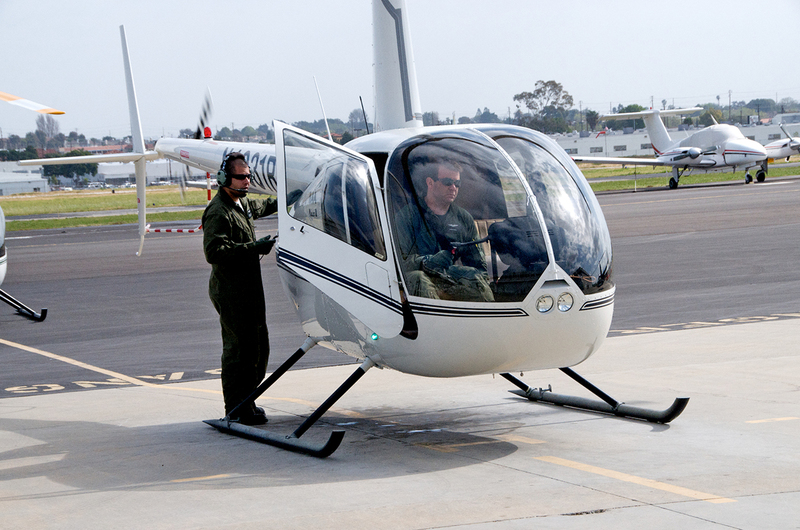 Robinson Helicopter produces more civil helicopters than any other company in the world. 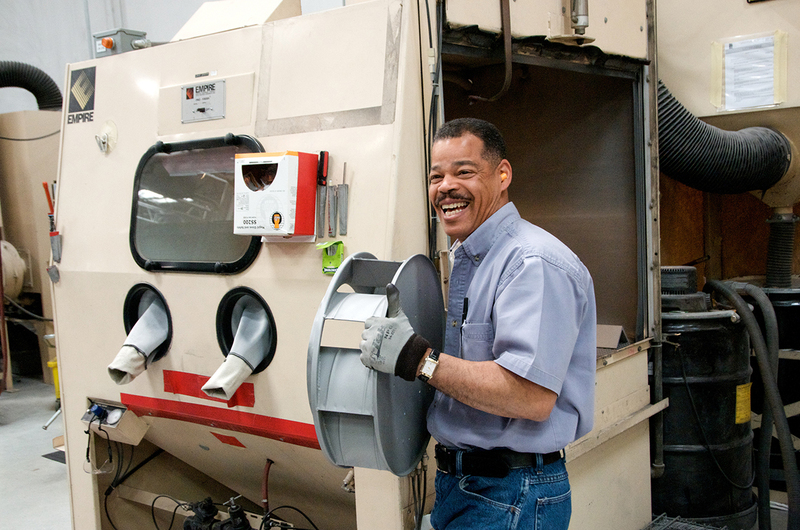 Our Torrance, California factory was built specifically for aircraft manufacturing, and we perform most operations on site including welding, machining, assembly, painting, and flight testing. 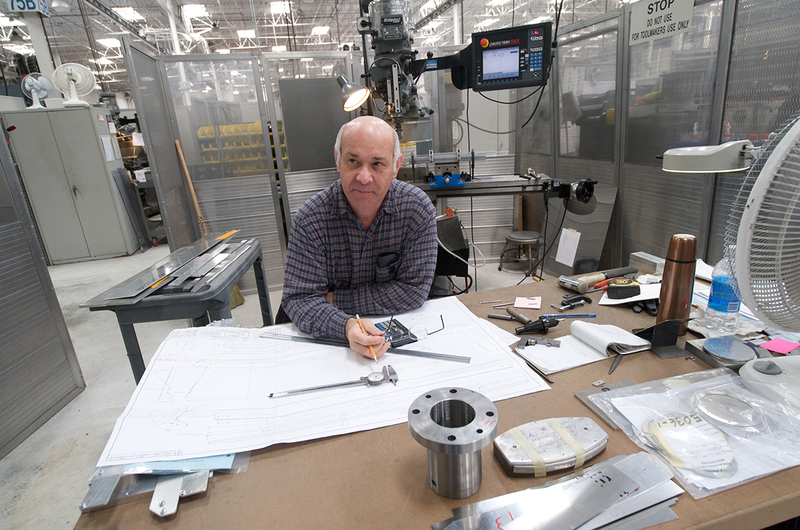 Robinson is known for its commitment to rigorous quality standards. Administrative functions include accounting, marketing, engineering and legal. Our customer service areas include product support, technical publications, warranty administration, and spare parts sales. Enjoy California’s clear skies, warm weather, and active lifestyle. Torrance boasts a high level of entertainment with 24 parks, a golf course, numerous public tennis courts, and over 350 acres of open space and parkland. Nearby beaches offer excellent facilities for swimming, surfing and volleyball. Torrance is known for its outstanding medical care facilities, excellent schools, fine dining, and wide range of hotels, and is the home of the Del Amo Fashion Center, the largest enclosed shopping mall in the west. Numerous family destinations are within easy driving distance, including Disneyland, Magic Mountain, Knotts Berry Farm and Universal Studios. For more information about Torrance, go to www.Torrance.com. Robinson Helicopter Company is an equal opportunity employer and offers an excellent benefit program including medical, dental, and life insurance, a 401K retirement plan, tuition reimbursement opportunities for continuing education, plus paid holidays and vacations. Full details, eligibility requirements, and information on additional benefits are available from the Robinson Personnel Department. Familiarity in using DuPont Imron paint on auto/aircraft. Knowledge on how to use and operate a paint gun. 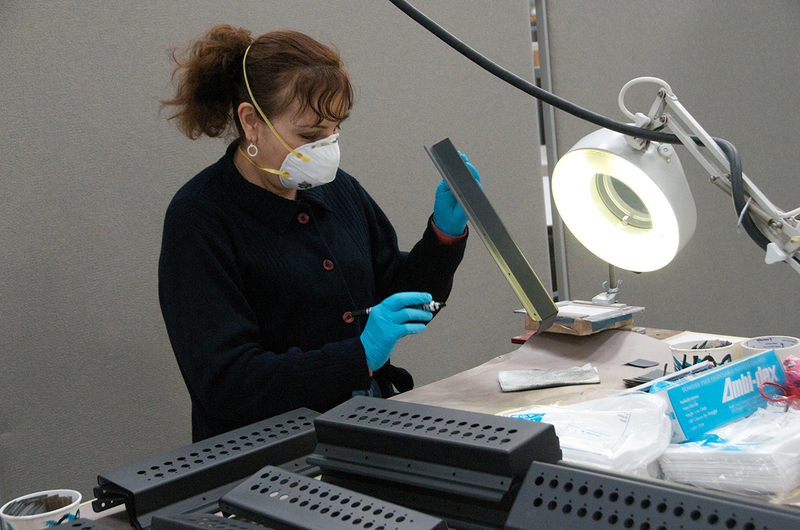 Efficiently perform the manual blending, polishing and creation of edge breaks on precision aerospace components. Setup and Operation of Horizontal and Vertical Machining Centers with Okuma and Heidenhain controls. Experience required. Ability to read blueprints and have own tools. Set up and operation of CNC Lathe, Okuma controls preferred. Experience required. Ability to read blueprints and have own tools. TIG welding experience required. Pre-employment welding test will be conducted. 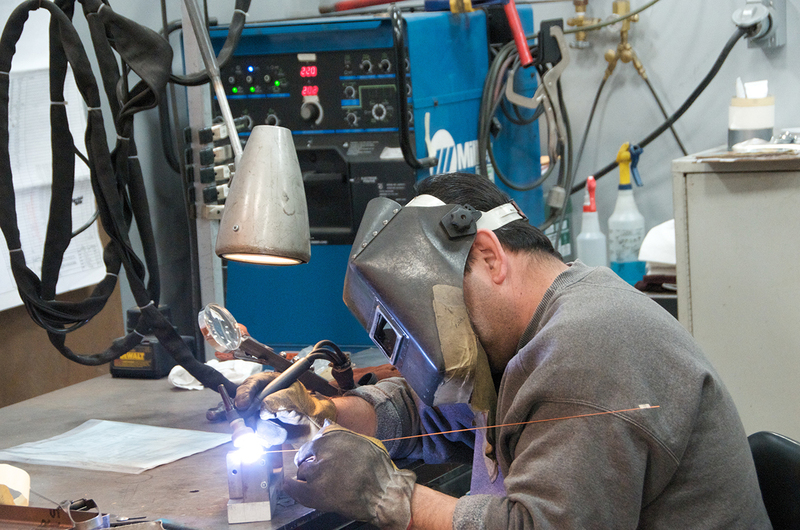 Experience in auto repair, machinery, pumps, compressors or HVAC repair. Will train for aircraft. 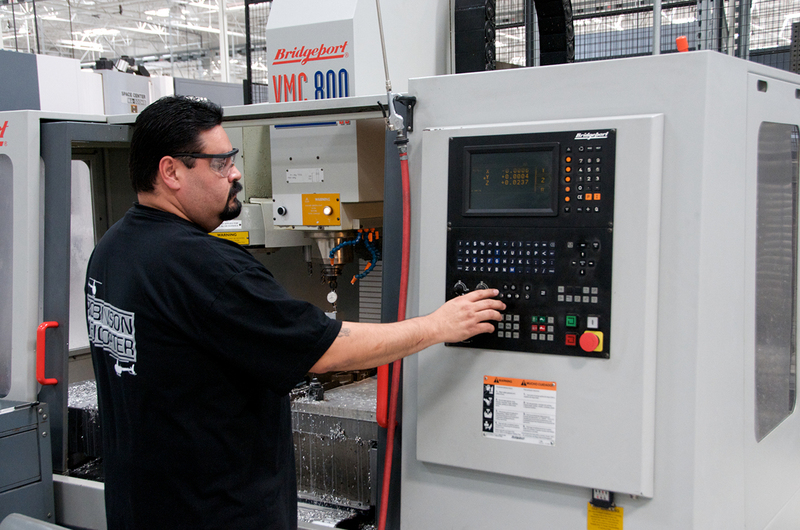 Position requires work experience or training in blueprint reading of precision close tolerance machined parts. Experience in usage of general inspection equipment including calipers, micrometers, height gauges, bore gauges and visual inspection. Trainees – preparing surface for paint, masking, sanding. No experience required. Licensed Mechanics with or without experience. Repair Station experience is a plus. Trainees must have basic knowledge of hand tools and good math skills. 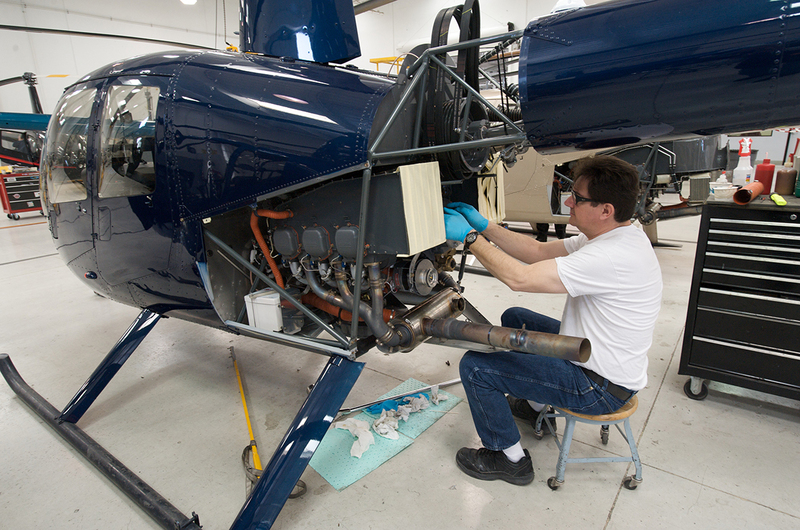 Will train to fit, trim, rivet, and assemble helicopter and small assemblies. No experience required. Develop and plan methods/sequences for manufacturing and assembly of components for helicopter production. Candidate must have planning experience in a manufacturing environment. Repair Station experience is a plus. Airframe & Powerplant license is required. Looking for experienced personnel for install and testing of Electrical components. Soldering, crimping and basic blueprint/schematic reading needed. Garmin and Aspen experience a plus.